Submitted by Fred on Sat, 09/15/2018 - 7:32am. 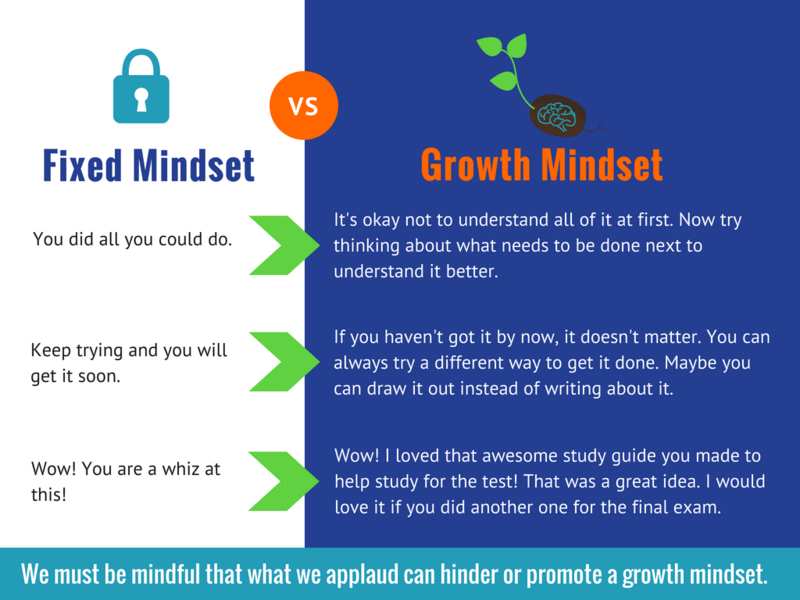 A growth mindset is a new concept in a lot of educational circles, but it is trending in education right now because it introduces the idea of shifting the focus from achievement (grades) and placing it on effort and determination to accomplish goals. In a book published in 2007, psychology professor Carol Dweck was one of the first to embrace the concept of the growth mindset as a beneficial tool for educators. 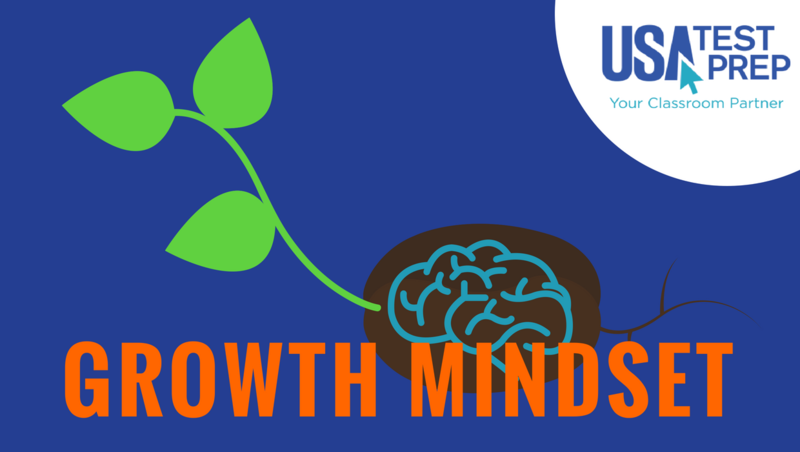 Based on her research on the subject, promoting a growth mindset in the classroom requires certain fundamentals if the idea is going to have any success. Since our mindset helps determine the amount of motivation we have as learners, Dweck urges educators to build learning environments that focus on aiming students toward a growth mindset. The following are essential strategies you can use to help instill a growth mindset in today’s classroom. Focusing on intelligence often restricts students’ concept of learning because they associate it with earning grades (which is a fixed mindset). According to Dweck, the objective is to focus on the process of learning and the methods taken to reach their learning goals, because focusing on intelligence can enhance a fixed mindset. Effort is important in establishing a growth mindset, but to focus on it above everything else can send out the implication that a student’s effort is not enough—as if to say the student’s attempt is the best they can do and there’s no room for improvement. If students think intelligence is fixed, there won’t be much motivation to go beyond what the student thinks is their best effort. That means the students may show a lack of interest in assignments and may perform even poorer on their assignments. Dweck believes that a variety of teaching methods can encourage students to develop a vast array of strategies to accomplish goals. Receiving New Content — When applicable, use videos, audio clips, presentations and physical manipulatives, such as blocks, in your lessons. Learning stations can help you deliver this content in a single class. Processing Their Learning — Instead of always working individually, give students chances to work in pairs and groups. Your varied teaching methods will encourage your students to consider multiple options for achieving their goals, which promotes a growth mindset. For instance, some science teachers use a Jeopardy-style review game to help students study for a test, instead of using a traditional study guide. You may also want to vary the design of your classroom to accommodate different learning techniques and activities, and to promote freedom of thinking (i.e., having learning centers or reading mats during reading time). Football: rewarding book reading goals for the class as touchdowns when the class has read a specific number of books for the month. Coins/Tokens: Letter grades can become coins or level-ups. Class participation and completion of homework can become experience points (XPs). Special Missions: Extra-credit work can be viewed as solo missions and quests. The possibilities are many when it comes to incorporating gaming into the classroom. The concept focuses on adding to their accomplishments (like earning coins and XPs) and not subtracting from 100 (as traditional grades do). Encouraging the appreciation of accomplishing a challenging task (which is akin to teaching the embracing of a growth mindset) encourages a growth mindset. Dweck suggests teachers spend time teaching students about the impact of learning on the brain (as discussed in point #15 below) to help encourage the notion of improving one’s intelligence. The goal is to get students to realize that mastering a challenge helps to enhance one’s abilities. In Dweck’s book, she recounts a middle school research project that revealed a vast improvement in math scores after teaching the value of mastering challenges. The other group with the fixed mindset experienced a decrease in scores over that same two-year period. The concept of improvement by giving more is a key component of a growth mindset. Getting students to go into detail about their thinking process (what they understand and what they don’t understand) can help them come up with better responses. Students realize that mastery of an objective is not fixed but something that can be cultivated over time, if not already possessed. Q&A Feedback: Promote the concept of asking questions when students are presented with new information. That gives the presenter an opportunity to expand on key points. Problem-Based Learning (PBL) activities: Cooperative activities designed to promote group collaboration. More clarification leads to the encouragement of critical thinking and the development of greater understanding of the material. Relevance will encourage students to want to learn more about the concept and make it easier to promote a growth mindset about abstract skills. Activities that promote real-life applications will help teachers instill the value of mastering an abstract skill as students find personal relevance. For example, if a student sets the goal of reading two novels each month for the reading program, the student can discuss how he or she is going to reach that goal. Some of the milestones to reach the goal could be reading two chapters a day and substituting an hour of TV time with reading. Valuing the goal-making process (and the journey to achieving the goal) by doing goal-based journaling enhances the creation of a growth mindset. The journaling process allows them to remove the fixed mindset and focus on persistence in accomplishing their goals. The result of goal-based journaling is the realization that their learning abilities can always improve. While you are changing your language to foster a growth mindset, work on getting your students to do the same. Dweck says when students don’t do well, they see their lack of success as punishment for having a poor performance. However, you can erase this fixed mindset about poor performance by teaching students to see difficulty as an opportunity to enhance their skills and mastery of the topic. The primary means of shifting their mindset from fixed to growth is to change the language they use when their performance is less than satisfactory. As stated above, the poster will remind students to consider how their language can help or hinder a growth mindset. As already stated in point 8, language helps students shift their way of perceiving lack of success. Using the term “yet” at the end of a statement that was once used to reinforce a fixed mindset (like statements that start with “I can’t” or “I don’t”) can transform that statement into a positive affirmation that encourages the student to remain persistent in trying until the goal is accomplished. Thus, the term “yet” shifts the students’ mindset from negative to positive. I don’t understand the story enough to answer this question. I don’t understand subject-verb agreement. Saying “yet” implies that the mastery of any given skill or topic is certain if the student is willing to try and employ different strategies to accomplish the task. Students may not be able to recall all the accomplishments and improvements they have made throughout the semester or year, so it is a good idea to have them document their progress as they go by creating success folders. Make the Folders Speak Success— Each student’s folder can be made of sturdy paper or cardboard. On the folder’s cover, have them depict success as they see it. Their depiction can be a picture or a written description (like a short story) that defines what success means to them. Make the Folders Uniquely Theirs— Students can place examples of successes they have had in the folder every day or once a week. These examples can be sample assignments they did well on, a summary of what they learned (like the information found in a traditional learning log) or a brief discussion of a new concept they have studied. Make Time for Reflection— Start off each week with allowing students to review their folder. This review allows them to reflect on their growth as a learner and provides them with the motivation needed to continue progressing. The success folder can have a tremendous impact in your classroom if you give it a chance. Research on cooperative learning has proven that this strategy promotes more ownership of learning, which also motivates students to develop a growth mindset. Students tend to equate intelligence and educational value with the type of grades they get. To remove that fixed mindset, educators need to start teaching students to value the learning process by stressing the importance of the learning process itself instead of stressing the importance of good grades. Valuing the process involves establishing micro-goals, which are more like milestones along the way to achieving a bigger objective. Micro-goals allow students to celebrate the process of learning and encourages them to keep moving forward until the goal is achieved. 14. Keep in mind that people can have a fixed mindset on some things and a growth mindset on other things. 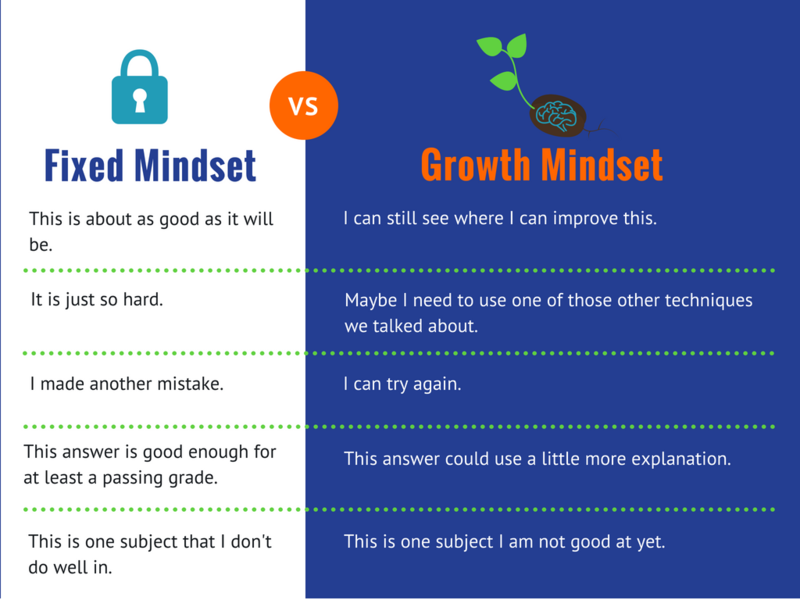 Most educators probably have a growth mindset concerning educational things. However, when it comes to other aspects of their lives, they probably have a growth mindset on some things and a fixed mindset on others. Our students are no different. We need to realize there are some students who have poor performance in school because of a fixed mindset, but they may have a growth mindset when it comes to playing video games or even when they play their favorite sport. Giving praise for how well they perform when playing games or playing sports can encourage them to adopt the same mindset for learning in school. Many educators may not feel like this concept is needed when instilling a growth mindset, but it is. Dweck’s research stresses the importance of providing lessons on brain science to make students aware of the various parts of the brain and how they function. They need to be aware that learning new things helps to grow their brains. So, it will be beneficial to your students to offer class activities and class discussions on the brain and how it functions. Doing so will make them more receptive to embracing the growth mindset.